Director George Lucas presents the film 'Star Wars - Episode IV: A New Hope' at AFI's 40th Anniversary celebration presented by Target held at Arclight Cinemas on October 3, 2007 in Hollywood, California. The Louisville Orchestra will feature screenings of 'Star Wars: A New Hope' alongside live performances of the Oscar-winning musical score February 2 and 3. LOUISVILLE, Ky. — Star Wars fans unite! 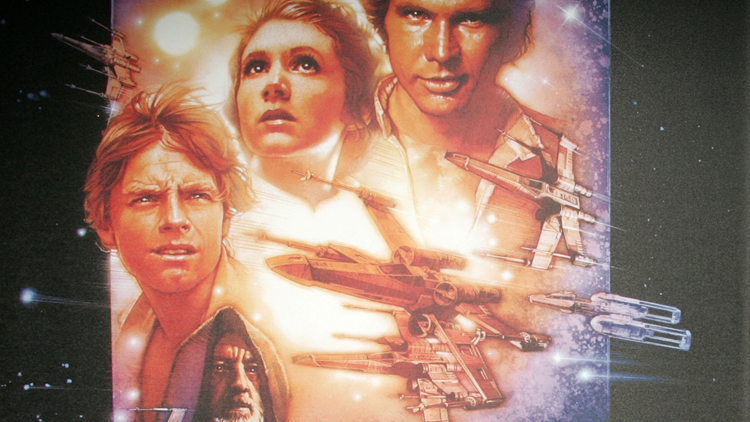 The Louisville Orchestra will present "Star Wars: A New Hope In Concert," a performance featuring screenings of the complete film with Oscar-winning composer John Williams’ musical score performed live to the film. The concert will be at the Kentucky Center on Saturday, February 2 at 7:30 p.m. and Sunday, February 3 at 3 p.m. Tickets start at $35 and are available by calling 502-584-7777 or visiting LouisvilleOrchestra.org. A New Hope is the fourth episode and first film of the Star Wars saga, focusing on the Rebel Alliance, led by Princess Leia, and its attempt to destroy the Galactic Empire's space station, the Death Star. The film also details a young Luke Skywalker's journey into becoming a Jedi, and introduces Han Solo, C-3PO, R2-D2 and villain Darth Vader. Williams is well known for scoring all eight of the Star Wars saga films to date. His scores for The Empire Strikes Back, Return of the Jedi, Star Wars: The Force Awakens and Star Wars: The Last Jedi, were each nominated for Best Original Score.